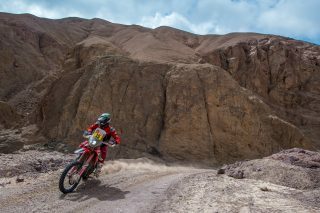 A sense of tranquillity now permeates the bivouac in Arequipa as the Dakar reaches its rest day. 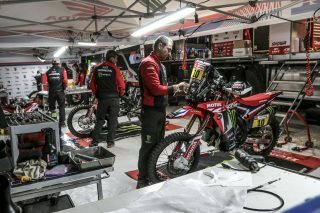 The riders, however, after a well-deserved morning rest and massage session, are now preparing for the next stage while the mechanics have spent the morning checking over the bikes ready for this afternoon. 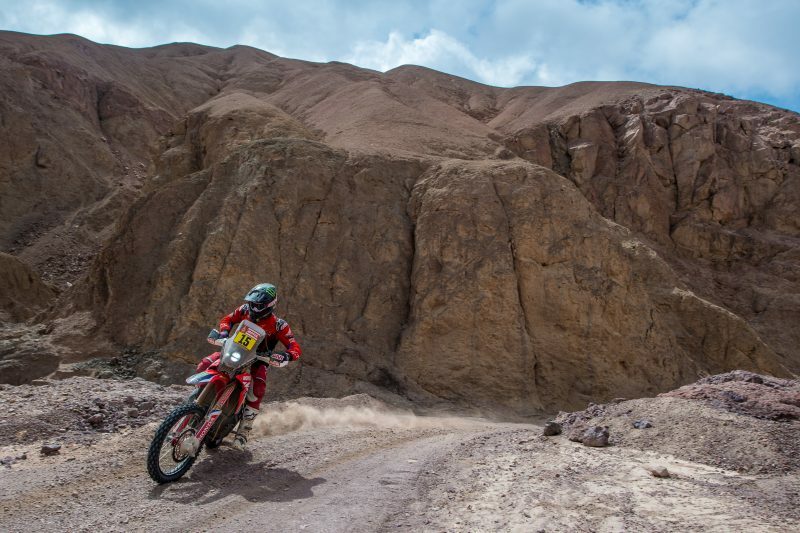 Today, Saturday at 17:00, riders are due to set off for the new bivouac in Camaná, some 175 kilometres from Arequipa, from where they will begin the final assault with the Dakar heading into the home straight for the conclusive week. Competitors were barely able to savour more than a few hours relaxation on Saturday. 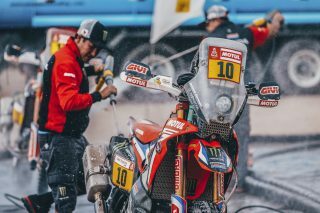 ‘Rest’ proved to be little more than a symbolic term as riders busied themselves with physical recovery, massages, revision of roadbooks and other preparations for the climax of the 2019 odyssey. 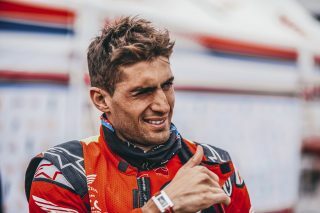 The team is currently relishing a fine moment, not only for the overall leadership held by Ricky Brabec, but also for news about team-mate Nacho Cornejo. 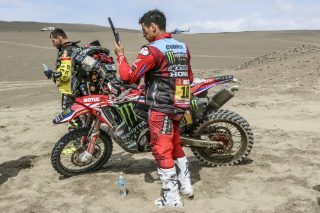 Yesterday, the Monster Energy Honda Team’s Chilean stopped to assist companion Paulo Gonçalves who was waiting to be airlifted by helicopter to hospital. However, race authorities ASO didn’t immediately return the time lost and waited until this morning to announce a revision of the rankings. In the new timings, Nacho Cornejo was deemed to have finished second in yesterday’s special, 2’25 behind the winner. 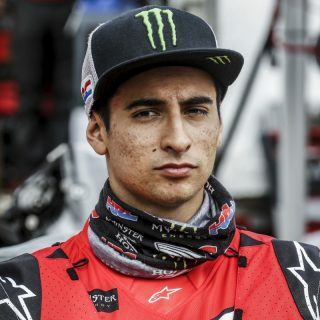 This moves the rider to 14th in the general rankings at less than an hour from overall leader and team-mate Ricky Brabec. 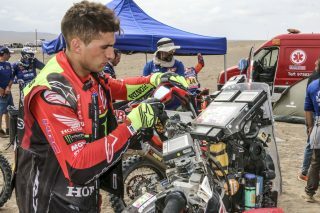 Tomorrow’s stage, which heads out from the bivouac in Camaná, will have a total of 839 kilometres before reaching the camp in San Juan de Marcona. On the way competitors face 317 kilometres against the clock. I stayed one night in the hospital as a precaution for dizziness, loss of sensation in the right hand and compression of some vertebra. Now I'm fine, I've been told that there's no serious problem so now it's time to recover well. 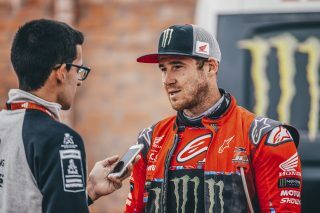 My Dakar 2019 ended sooner than I expected. 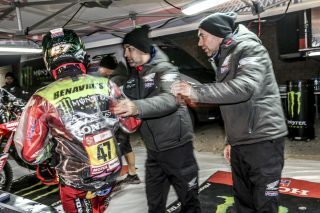 I felt good, I was riding with a steady pace to be able to guarantee a finish, but unfortunately I fell. What is done is done, we can’t back on the past, so we have no choice but to move on. 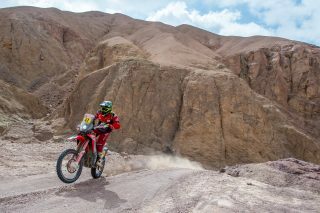 This first week of Dakar was quite tough. There were very varied terrain types with fesh-fesh, stones, rivers ... I think it's good when it is more mixed. We also expected less links but we have had them and the race days didn’t end very early. It wasn’t easy but I am happy with my riding. I think I have pace to fight for the top positions. Today we have used the day to rest, recharge batteries before facing the five days that await us. 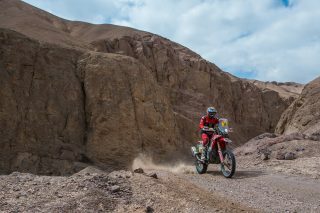 There will be more dunes and sand; I feel strong, so I hope to be able to attack and make up some positions. Rest day is always good. It’s good to recharge the batteries. 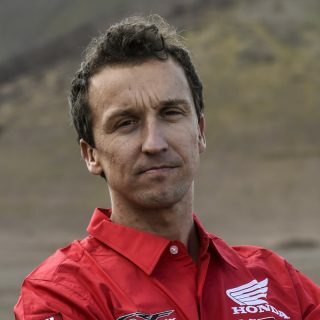 I’m leading the Dakar. 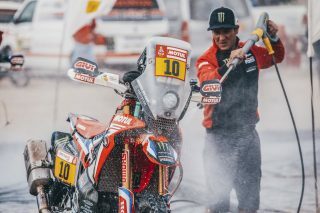 I’m one of the only American riders to ever have led the Dakar except for maybe Robby Gordon. It feels pretty good. It’s going to be a big fight between me and Kevin as the week goes on. 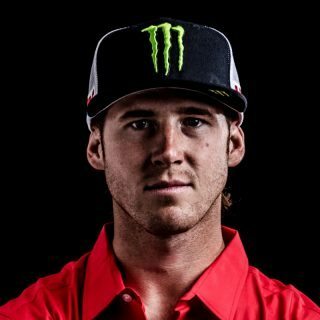 The two Monster Energy Honda Team riders want to win. I think it will be a battle between us until the end. 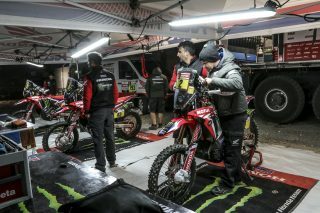 We finished the first week with a good balance and now we are preparing everything for the second. It will be five very hard days of navigation and off-piste. We will have to be vigilant and know where to attack. 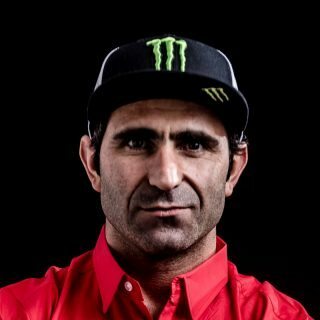 We will try to be as focused as possible to be able to do our best and achieve my goal, which is to win the Dakar. 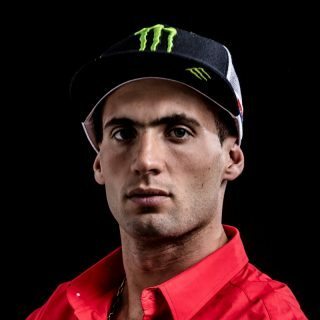 The seven riders in front of us are have times very close to each other, so we all have the option of winning. We have five days left where everything can happen, it is a cliché but it is true. Even if we are ahead, everything can happen. We will take it day by day. We will look to finish each day as far forward as possible to have a chance of victory. We are focused on not making mistakes and in which all the riders can return to the bivouac each stage. 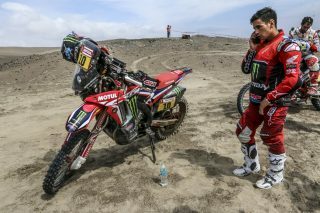 Nacho is riding a very good race, he lost a little time but he is still doing a very good bit of team work. Kevin took the first part a little more calmly to figure out which way the race was going, which I think is a very successful strategy. On the other hand, Ricky has pushed from the first day and now is leading the overall standings. The two are doing very well and have options.